Training a new generation of automotive experts: this is the objective of the university advanced master programme in Autonomous Driving and Enabling Technologies (ADBoT) provided by Unimore and the University of Trento. The enrolment deadline is 19 April. A result of the partnership with Fiat Chrysler Automobiles and CRF (the research centre of the Group) and with the Foundation Bruno Kessler of Trento, the master will teach participants how to design and develop smart systems for connected and autonomous vehicles, which is the engineering challenge that the global car market is going to face. Fully taught in English, the master will be held at the University of Trento starting from the 20 May, and it is expected to last about one year with 1,500 hours of classes and internships. The study grants available will allow the participants to obtain 60 university training credits (CFUs) that are recognised and may be used within the European Union. The enrolment deadline is Friday 19 April, and there are 20 places available reserved to master graduates in Mechatronic Engineering, IT Engineering, IT, Electronic Engineering, Automation Engineering, Telecommunication Engineering, Electric Engineering, Mechanic Engineering, Science and Materials Engineering, Aerospace and Astronaut Engineering, Biomedical Engineering and Chemical Engineering. 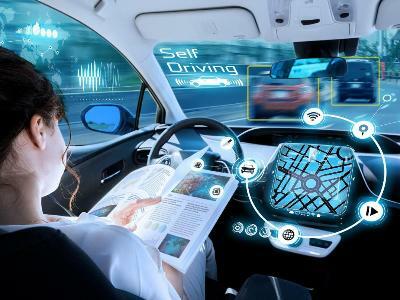 They are highly qualified future professionals, able to take on roles involving the design and development of smart systems for connected and autonomous vehicles. FCA and CRF have decided to support this master as it is a considerable opportunity to build extensive skills on a topic that will be of strategic increasing importance for the car industry. Engineers who start working in the automotive industry are essentially required to complete their classical mechanical training with new knowledge: from artificial intelligence to machine learning, from cybersecurity to sensor fusion. For further information please email professor Francesco Biral of the University of Trento (programme director, francesco.biral@ing.unitn.it ), professor Luigi Rovati of the University of Modena and Reggio Emilia ( luigi.rovati@unimore.it ) or visit the website dedicated to the master on www.unitn.it/master-adbot .